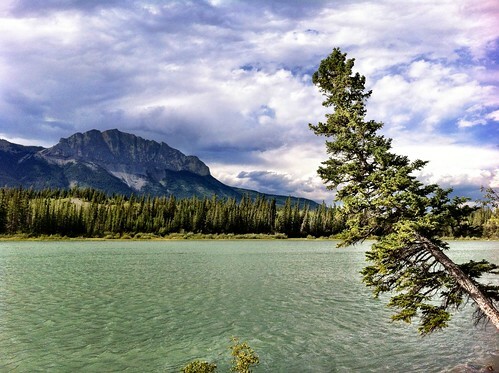 45 minutes from the west edge of Calgary lies Bow Valley Provincial Park. As a gateway to Banff, Kananaskis, Lake Louise, or Canmore, this park is a perfect place to launch a series of daytrips into the mountains. 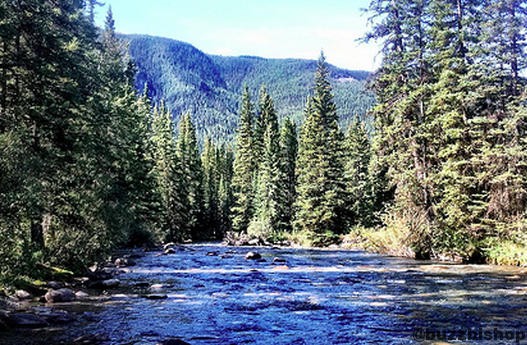 Being so close to the city, Bow Valley Provincial Park is a very popular place to camp, and reservations are tough to get. I reserved on Monday for the upcoming weekend and got 1 of the final 2 spots. If you’re in to last minute shopping, you can try and grab a first come, first served spot. At least if you miss out, you can head deeper into Banff, K Country, or just turn around and head home. The campground is heavily treed, the spots are very private. 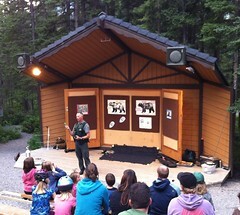 On weekends, Park Rangers hold presentations in the amphitheatre at 8p. There are playgrounds, a variety of trails, and you’re right on the banks of the Bow River if you want to drop in a fishing line. Bikes are popular accessories to bring to the park, as many people ride around and around and around. 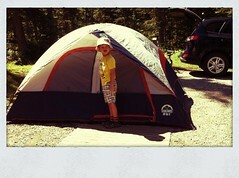 We used the campground as a launch spot to go and hike Grotto Canyon. 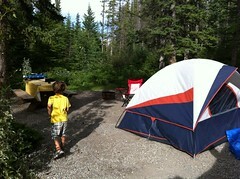 Other easy hikes for kids in the area include Troll Falls in Kananaskis and Grassi Lakes in Canmore. 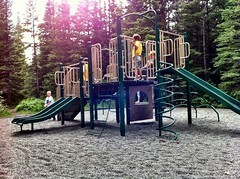 If you have older kids, or like a challenge in your hike, Ha Ling Peak is nearby. 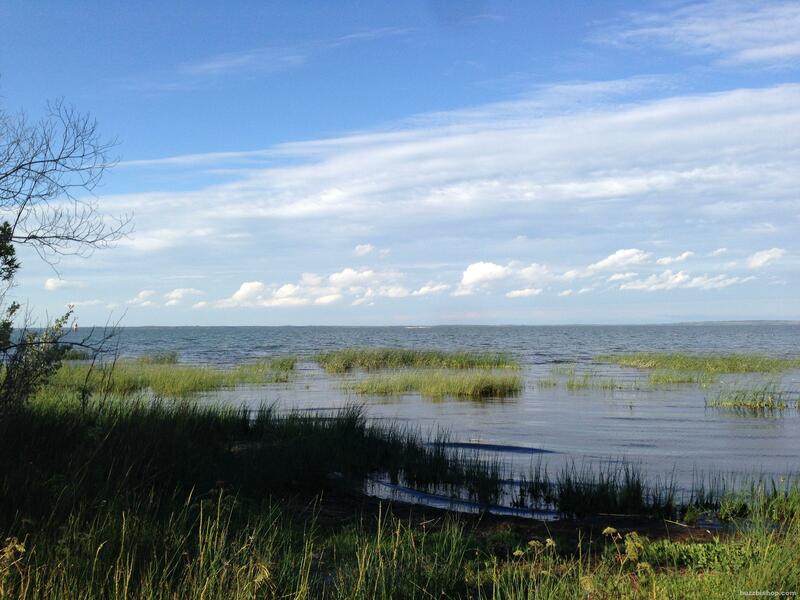 It’s also a great home base to take a daytrip around The Dorrien-Smith Spray Lakes Trail, or The Highwood Pass Loop.